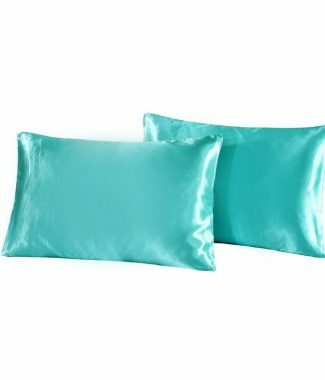 Buy handmade cushions from our designer collection online. 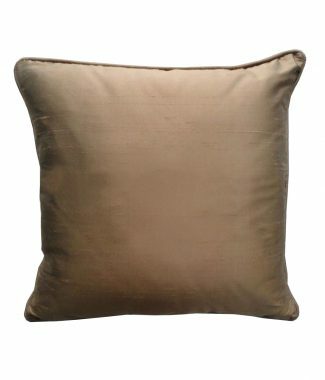 Our handmade silk cushions are made with 100% Thai silk from Chiang Mai. 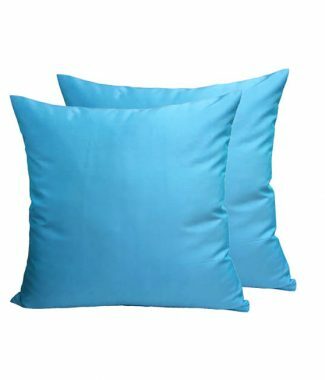 The collection includes silk pillows and silk cushions, cushion cover that are plain, raw silk cushions, 4 ply and 2 ply silk is used. 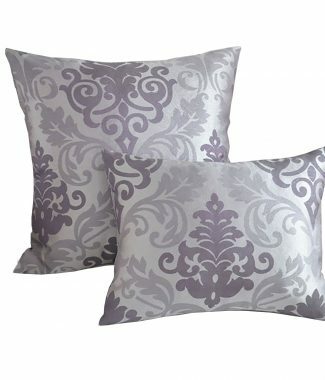 For budget requirements we manufacture faux silk cushion cover and cushions made with taffeta silk. 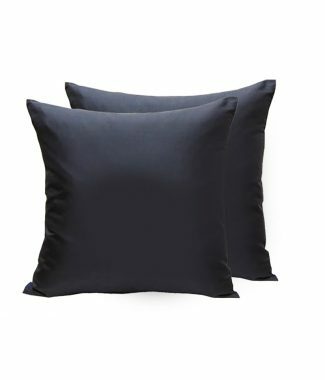 Our factory offers embroidery service and manufactures personalized cushions with monogram or logo embroidery for wedding gifts, bridesmaids gifts and event premium gifts. 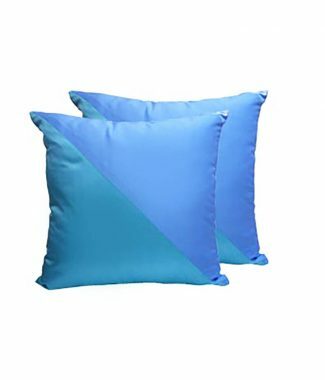 Our home decor cushion are made for export with high quality standards. 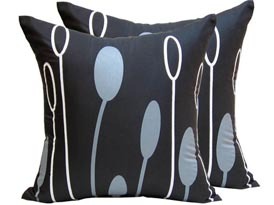 Cushions are made available for wholesale in all standard sizes. 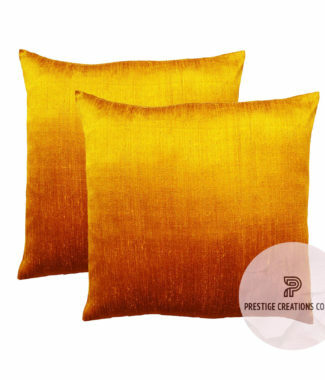 The cushions Prestige Creations offers are available in various different sizes and shapes. The most common sizes we export each month are the 45cm x 45cm square cushion (or 18″ x18″ for the imperial-brained). Besides there is also one popular rectangle option which is 50cm x 30cm (20″ x 12″). For course any other size can be manufactured for you. 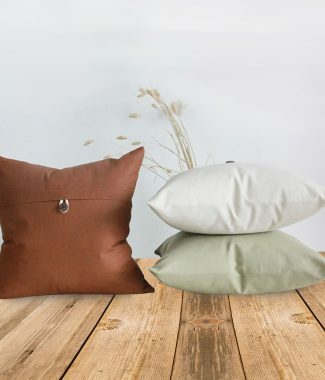 For our premium silk cushions we use Thai silk that is manufactured from the cocoons of Thai silkworms. Here in Chiang Mai, our silkworm farmer cultivate both types of the domesticated silkworms that produce the famous Thai silk fabric offered all over the world. The luxury look and feel of hand-woven original Thai silk can not be compared to faux silk and it’s price per meter is around 10 times higher than the price of imitation silk or polyester silk.